Forex trends: Is the US dollar rally nearing an end? 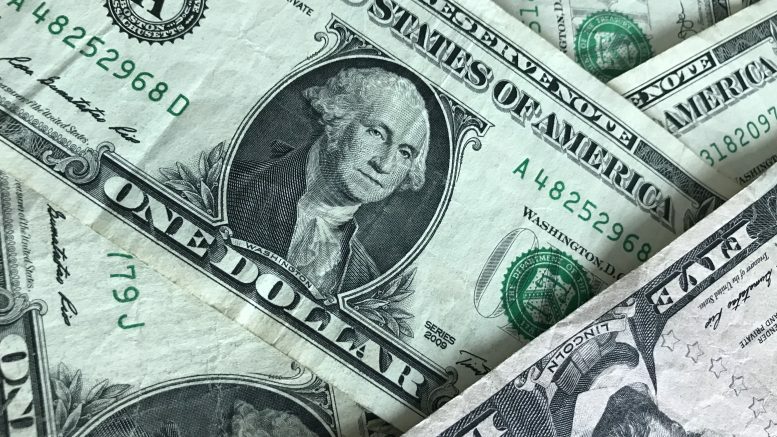 The U.S. dollar remains on the strong side, but at least one analyst pointed to risks that the greenback’s rally could be nearing an end. “The resilience of the U.S. dollar tells us that investors are waiting for Friday’s non-farm payrolls report and hoping that job growth will be strong enough to revive the dollar’s rally, particularly since the labor market has been the strongest part of the economy and the main source of the central bank’s optimism,” Kathy Lien, managing director of foreign-exchange strategy at BK Asset Management, said in a note on Wednesday, U.S. time. But she added that even if upcoming data delivers positive surprises, she didn’t expect the dollar would rally for much longer, pointing to the declines in U.S. Treasury yields, which reflected concerns over lower inflation, slower global growth and a less-hawkish U.S. Federal Reserve. “When U.S. markets reopen on Thursday, we expect U.S. yields to remain under pressure preventing any meaningful rally in the greenback,” she said. The U.S. dollar index was at 97.00 at 7:05 A.M. SGT after touching levels as high as 97.18 on Wednesday, according to ICE futures data. The 10-year U.S. Treasury note yield was at 2.919 percent at 8:27 A.M. SGT off levels as high as 2.968 percent on Tuesday, according to Tullett Prebon data. The euro/dollar was at 1.1349 at 8:31 A.M. SGT after trading in a 1.1310 to 1.1361 range on Wednesday, according to DZHI data. The British pound/dollar was at 1.2724 at 8:31 A.M. SGT after trading in a 1.2671 to 1.2798 range on Wednesday, according to DZHI data. Sterling managed to climb back over the 1.27 line during the session despite U.K. PMI coming in much weaker than expected at 50.4, barely above the 50-line which divides expansion from contraction, compared with forecasts for 52.5, Boris Schlossberg, managing director of foreign-exchange strategy, at BK Asset Management, in a note on Wednesday. But he pointed to Brexit risks ahead, which could weigh heavily on the U.K. economy. But if they don’t, sterling could “collapse,” he said. The dollar/yen was at 112.982 at 8:31 A.M. SGT after trading in a 112.62 to 113.242 range on Wednesday, according to DZHI data. The dollar/yuan ended Wednesday at 6.8545 after trading in a 6.8436 to 6.8690 range during the session, according to DZHI data. The dollar/Singapore dollar was at 1.3677 at 8:32 A.M. SGT after trading in a 1.3644 to 1.3687 range on Wednesday, according to DZHI data. The dollar/Malaysian ringgit was at 4.1550 at 8:20 A.M. SGT after trading in a 4.1490 to 4.1575 range on Wednesday, according to DZHI data. The dollar/Indonesian rupiah ended Wednesday at 14,390 after trading in a 14,288 to 14,425 range during the session, according to DZHI data.